Always look for a company with a visual address (NOT) P.O. Box address, HQ address, or industrial address. Other scams are (locksmith or lock house) in every area or high street. 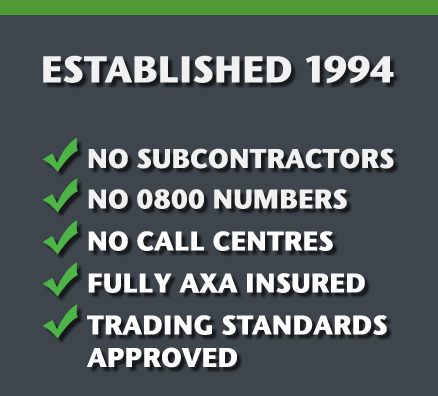 Always look for an area code or land line local number, not just a mobile or 0800/0845/0808. Some companies are crafty and rent local numbers from BT, that again is a reason for a visual address. Always make a note of the person you are speaking to, make sure they are clear with you on when they will be with you and always try to get a price if possible. Call Centres have to find a locksmith who will cover the job for them after you have made the call, so when they say within the hour that could mean two, three etc. The contractors are then told to take as long as possible, get ghost parts (parts that should be in their vans, that disappear then reappear an hour later). When locked out, try to find out whether it is going to be destructive or non-destructive? Most doors that are slam shut lock outs should be opened in a non-destructive manor. When a lock is replaced make sure the locksmith replaces the lock with an equal quality lock. I have heard and seen second hand locks on doors!! Most locks should be in either sealed boxes or visible plastic packing. The locksmith should give you 3 keys with your new lock, that is the standard factory quantity, although some cheaper quality locks do only have 2 keys. * Please note older chubb locks do only come with 2 keys. ** Some locksmiths also put on registered or restricted locks, please make sure you want this as in a lot of cases you will be paying double and will only be able to get keys from that locksmith. Finally the security in opening these locks are the same as most high street brands - you pay for the key cutting restriction. If you need any help/advice or to request an instant free no obligation quote please contact me on 0208 308 1722. Alternatively, you can contact me by email at support@sidcuplocksmiths.co.uk or by filling in the form on our Contact Page and I will get back to you within 24 hours.